References: 1. 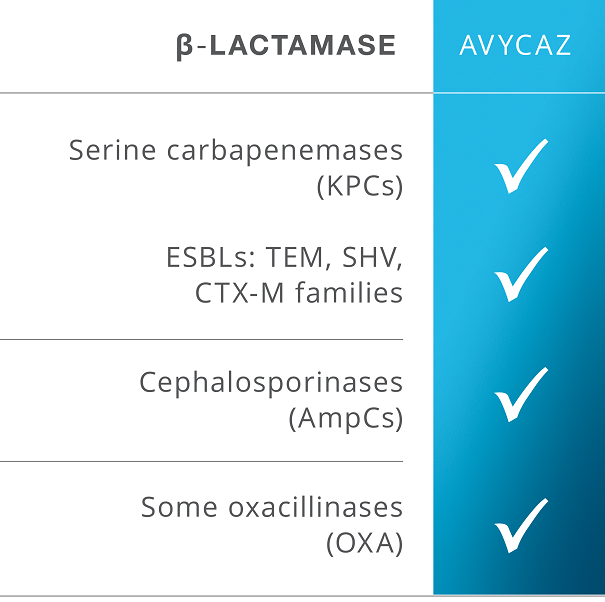 AVYCAZ® (ceftazidime and avibactam) [prescribing information]. Irvine, CA: Allergan USA, Inc. 2. Antibiotic Resistance Threats in the United States, 2013. Centers for Disease Control and Prevention website. https://www.cdc.gov/drugresistance/threat-report-2013/pdf/ar-threats-2013-508.pdf. Accessed January 23, 2018. 3. Guh AY, Limbago BM, Kallen AJ. Expert Rev Anti Infect Ther. 2014;12(5):565-580.